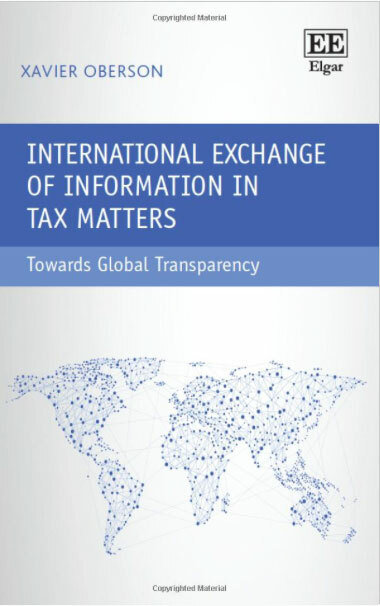 Following the financial crisis of 2008 and various scandals around the world there has been a global movement towards greater transparency with international exchanges of information in tax matters. This book provides a comprehensive overview of the main developments, and an analysis of the structure and content of the various existing instruments and models. Xavier Oberson covers the topic broadly, discussing double taxation treaties, TIEAs, the OECD multinational convention, European Directives, FATCA and the Swiss Rubik model. He further provides an analysis of the new OECD common reporting standard of automatic exchange of information, and distinguishes between the various substantial rights (human rights, constitutional rights) and procedural rights that can be used during the different phases of information exchange. Lawyers and tax specialists looking to further their knowledge will find this book to be an invaluable reference. Students and academics in law, tax or economics will appreciate the clear overview and find many useful insights. Practitioners such as taxpayers, bankers and finance professionals will find this to be an informative read.